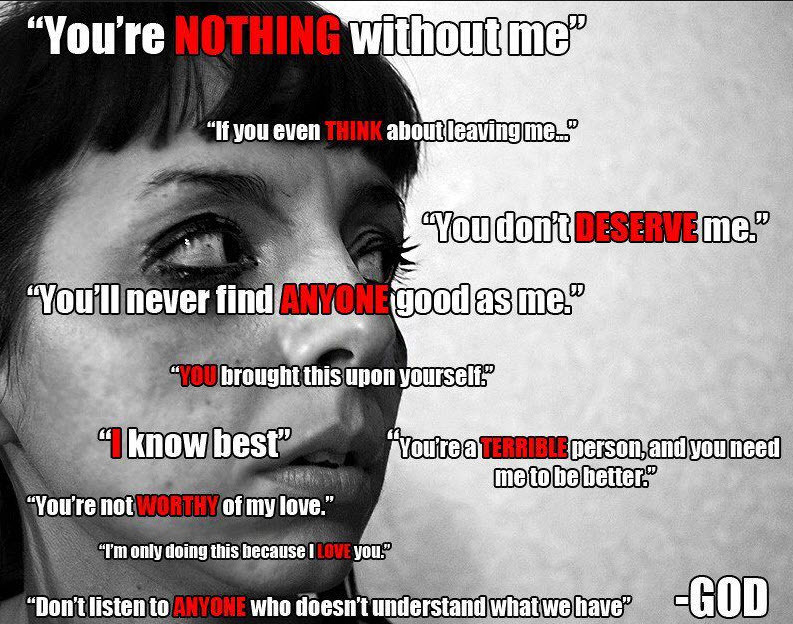 You are here: Home » Uncategorized » Abusive Relationship with God? On Facebook, I found the following image, which draws parallels between alleged relationships with God and abusive human relationships. This image reminds me of a saying of GrumpyPilgrim:? “God loves you like an abusive parent.”?? One of Grumpy’s favorite bits of “evidence” being the alleged fact that God set up the attractive nuisance of the tree of knowledge, then condemned humanity forever when Eve did exactly what God knew she was going to do. I don’t know the identity of the author of the above image. I anyone knows, I’d like to give proper attribution. 온라인 슬롯머신Bill Maher is encouraging you to leave that abusive relationship you are in. Who created hell and why? Bradley Manning barred as S.F. Gay Pride Grand Marshal; abusive corporations welcomed. Bill Maher is encouraging you to leave that abusive relationship you are in.